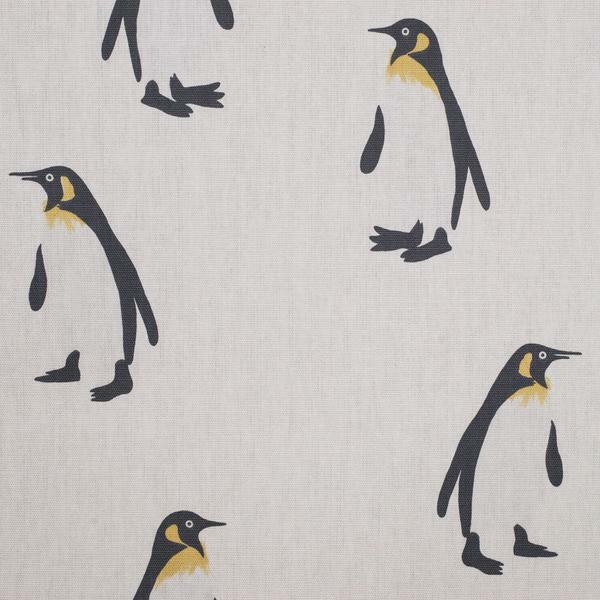 A charming penguin design fabric featuring two characterful, hand-drawn penguin friends. 100% lightweight cotton for all usages. Put on your tux and meet these two in Antarctica. 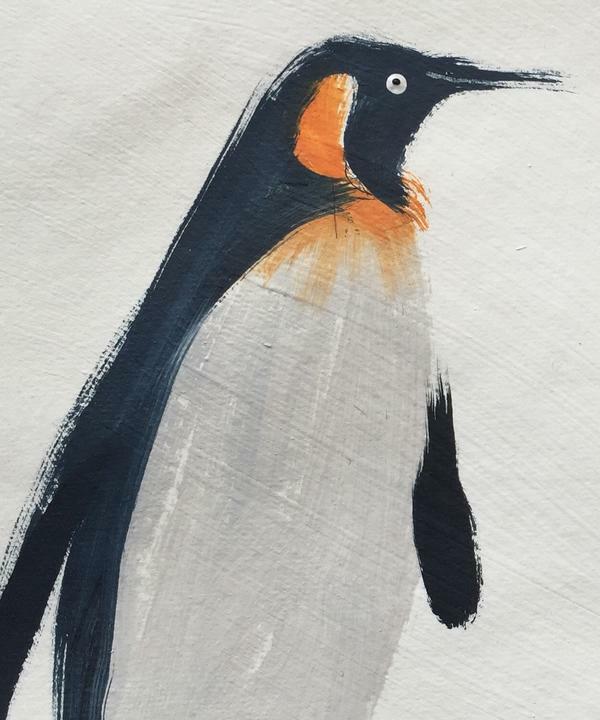 Tux pays tribute to the majestic emperor penguins of Antarctica. Watch these two greet each other, the first with his beak slightly open as if speaking to his partner, who receives the news with wide-eyed assent. 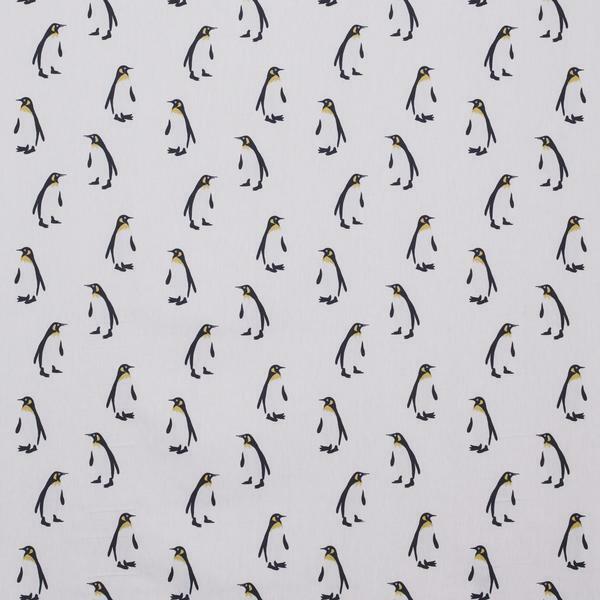 The colourway Snow revives their year-round snowy habitat and the penguins' tufty, yellow neck feathers add a spot of eye-catching colour. A beautifully unique fabric that will give character and charm to your room.